This is a speaking assignment. 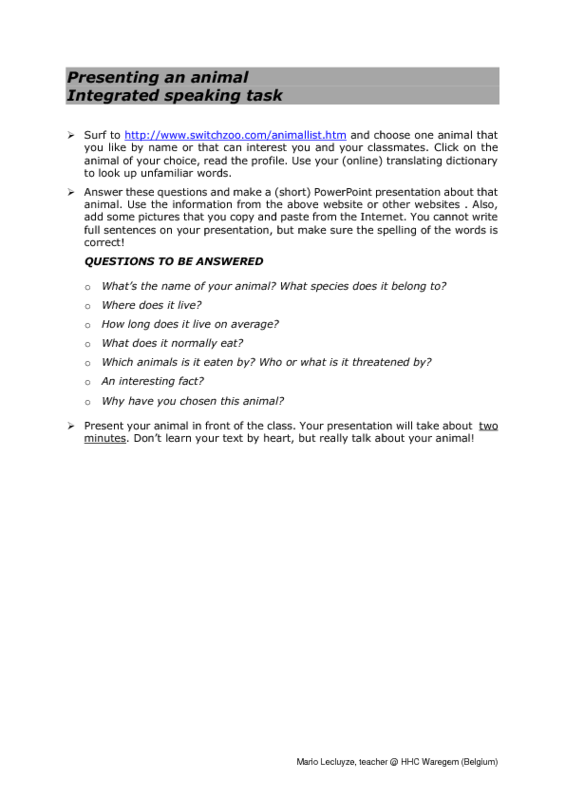 A2-level ss have to present an unknown animal by answering some questions in a PowerPoint presentation. The animals can be found in a list at switchzoo.com. 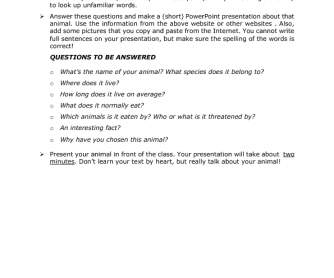 The worksheet also contains a rubric to mark the assignment. Giving this rubric to the ss before the preparation phase helps them to focus; it also provides them with useful feedback after their presentation.